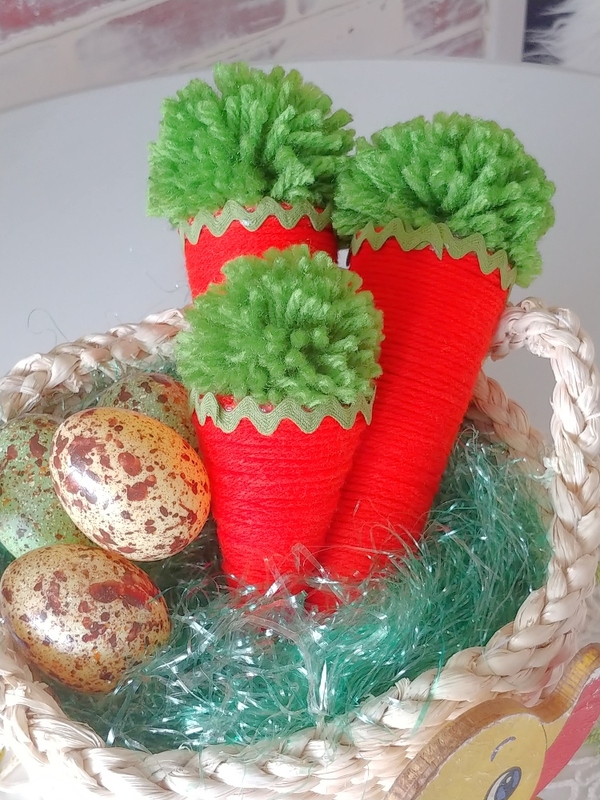 But it's not too late to whip out some cute little carrots! 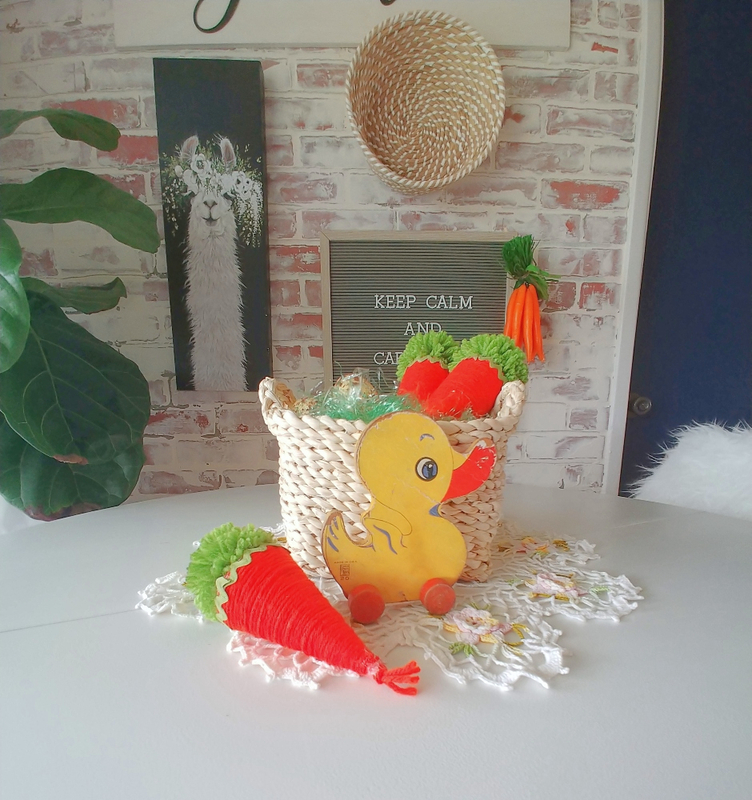 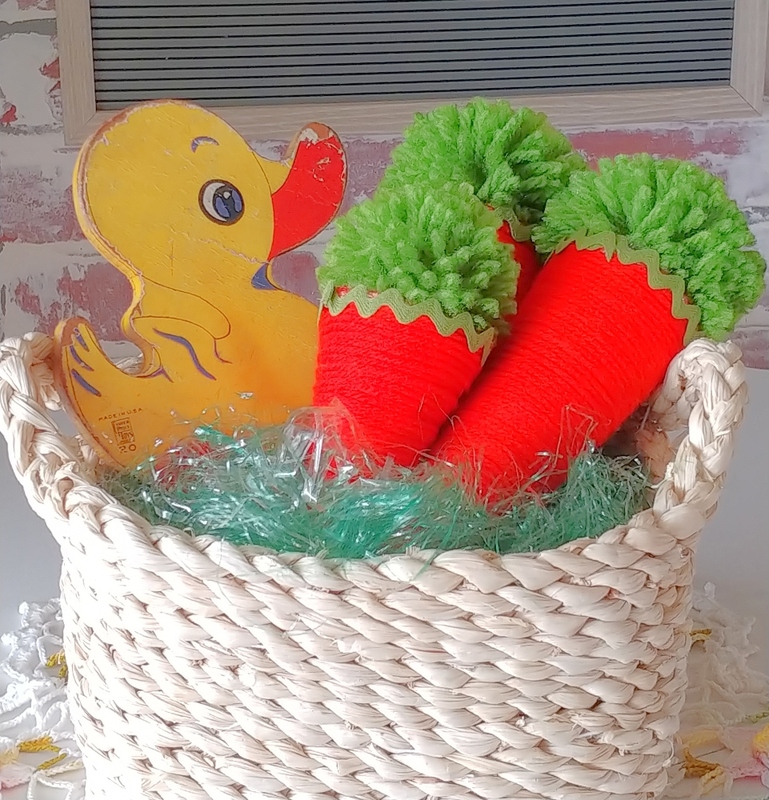 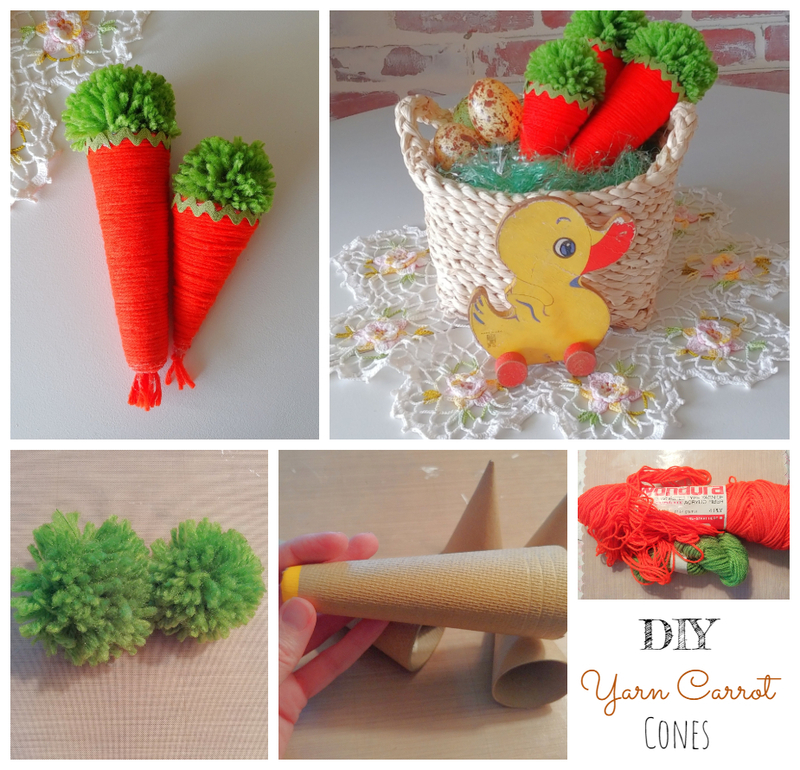 I was just positive that I had some cardboard cones in my craft room and I was ready to make these cute carrots when I found the orange and green yarns at the thrift store! 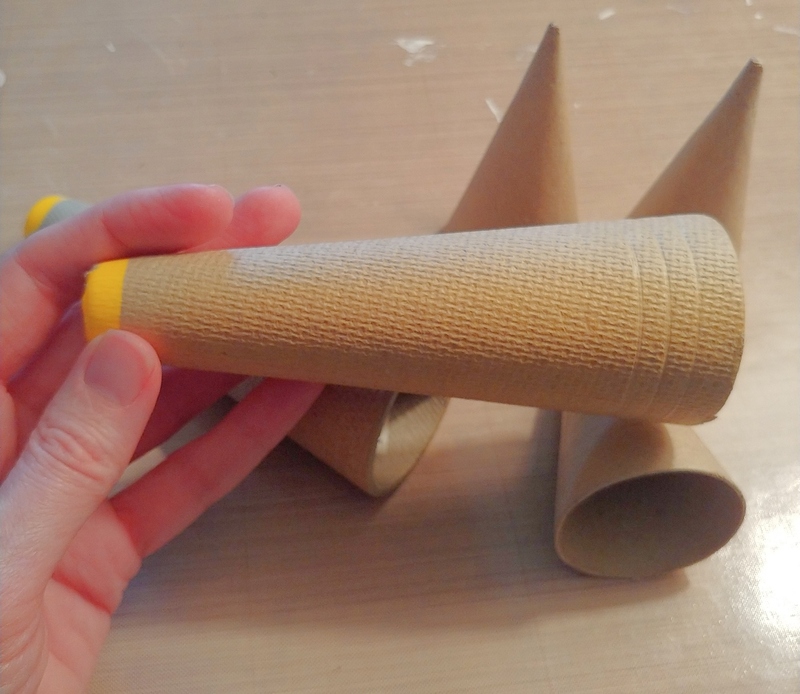 But when I got ready to make them I couldn't find those cones anywhere!! 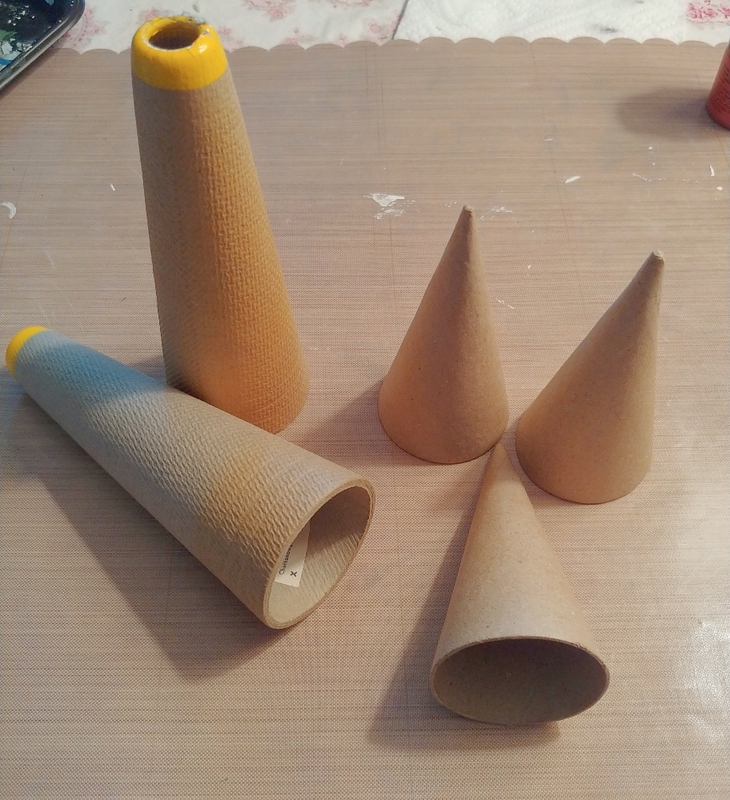 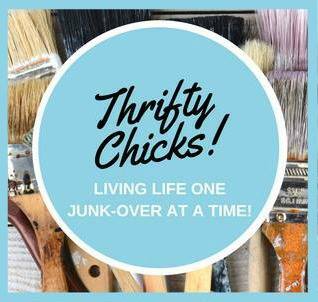 But my mom is like me and has almost every crafty thing known to man and she had some cones that she gave me! 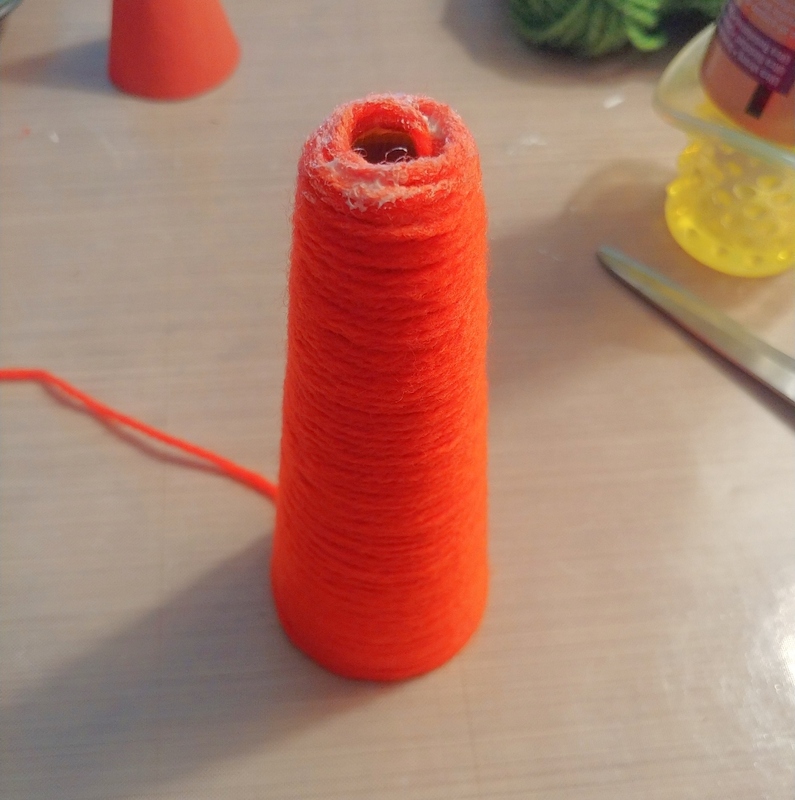 I think these with the yellow ends were probably used to hold the thread for sergers. 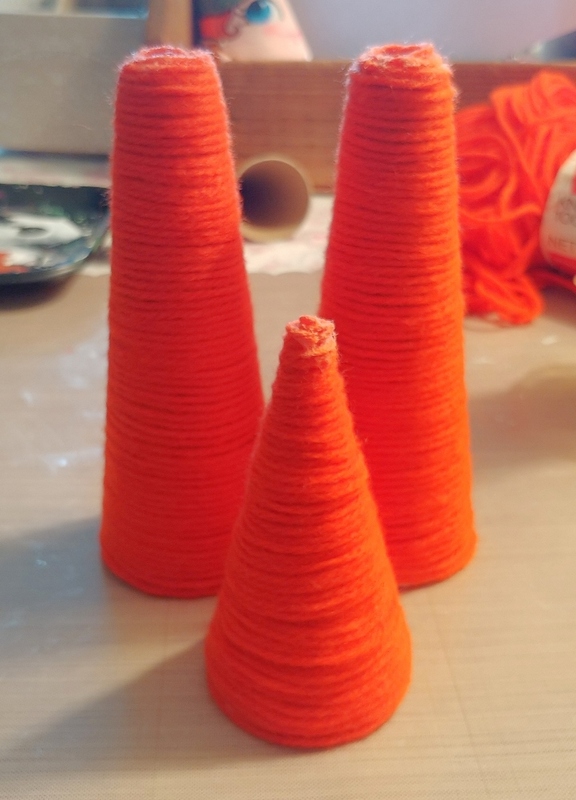 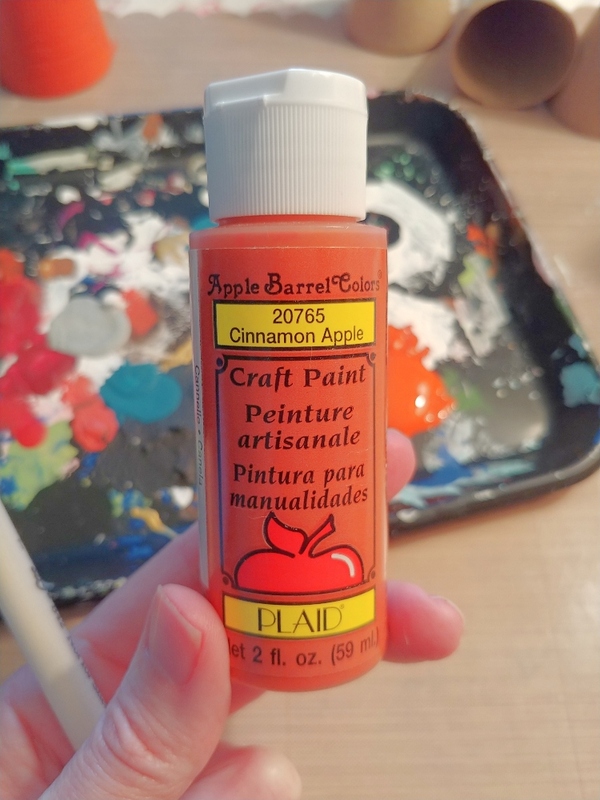 First, I painted the cones with Cinnamon Apple orange paint so that any gaps between the strands of yarn wouldn't be noticeable. 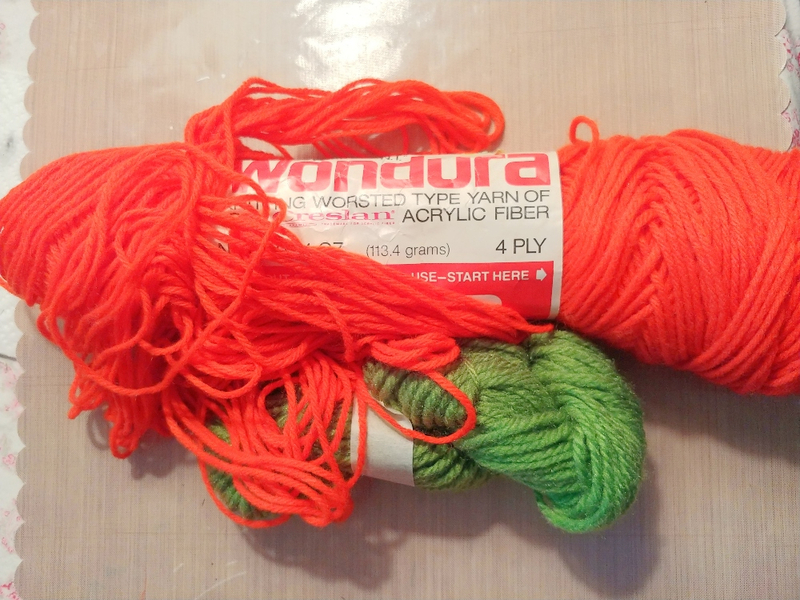 Then I began wrapping the orange yard around and around. 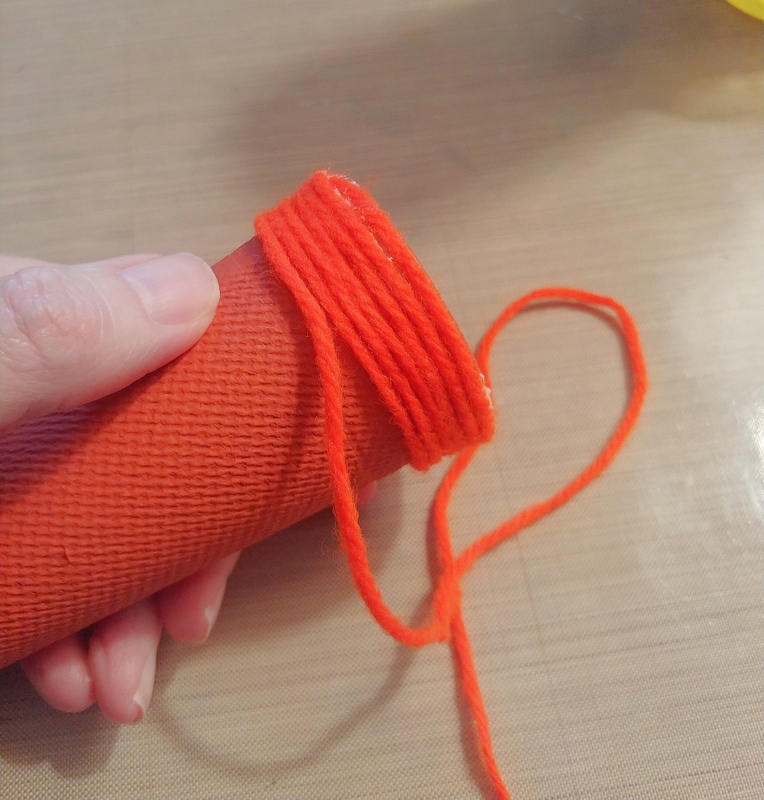 I started by putting a bead of glue around the bottom and starting the yarn there. 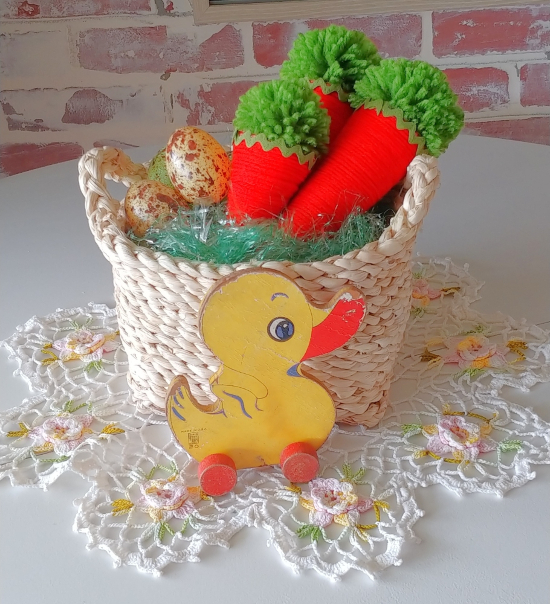 Here they are all covered with yarn. 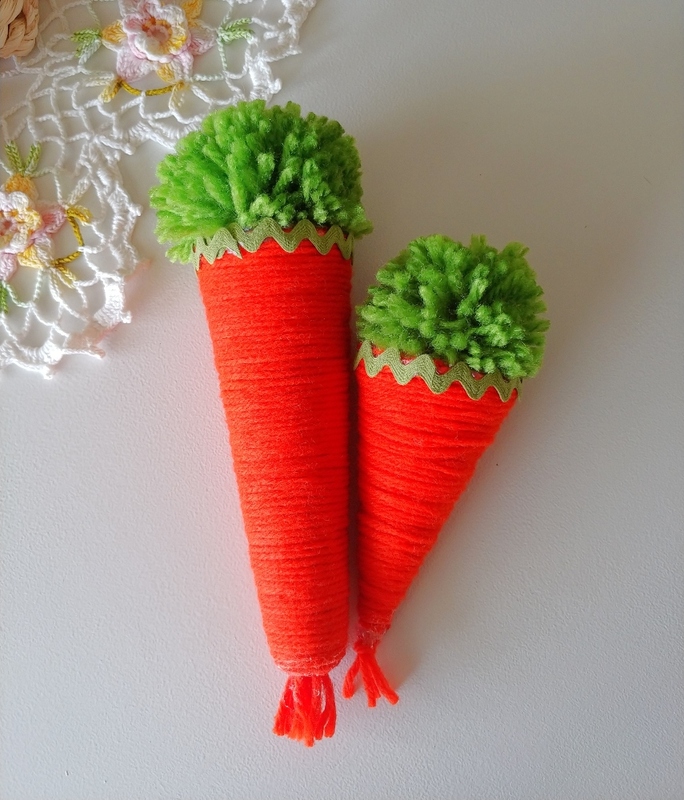 Now to make them look more like carrots! 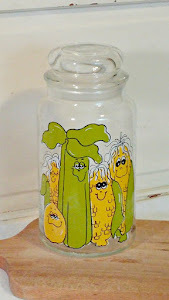 I used some green rick-rack trim around what is now the top edge of the carrot. 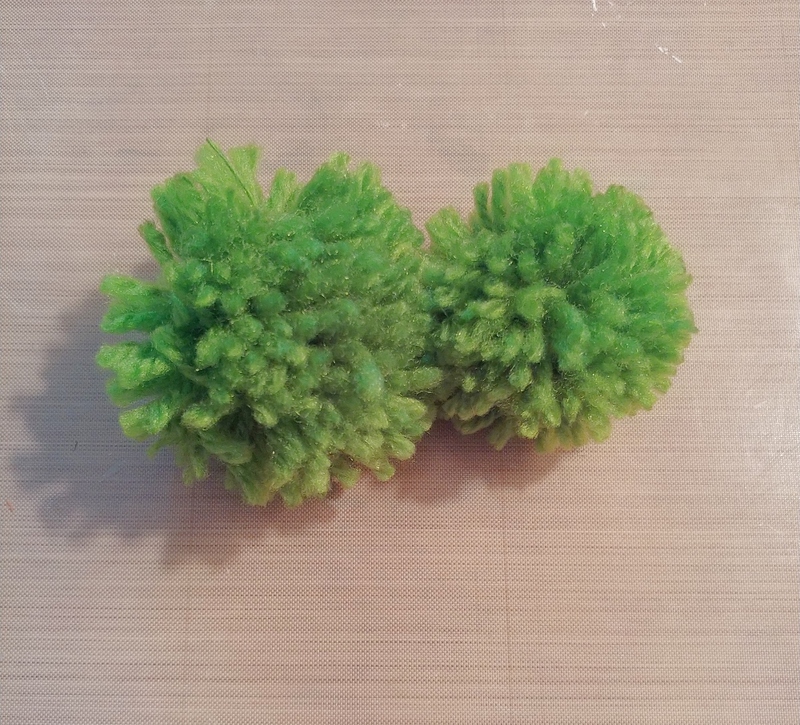 For the carrot tops, I made some pom-poms with my Clover pom-pom maker. 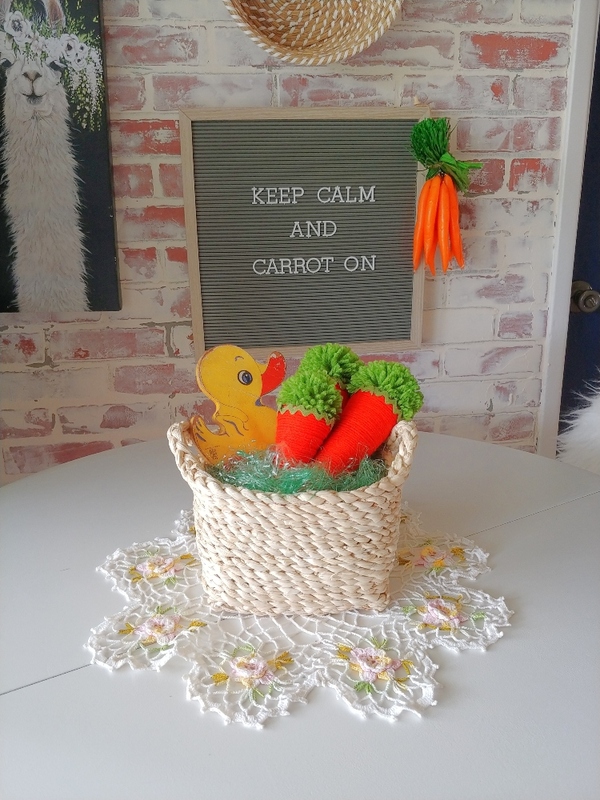 I used the large pom-pom maker for the larger carrots and the medium for the smaller carrot. 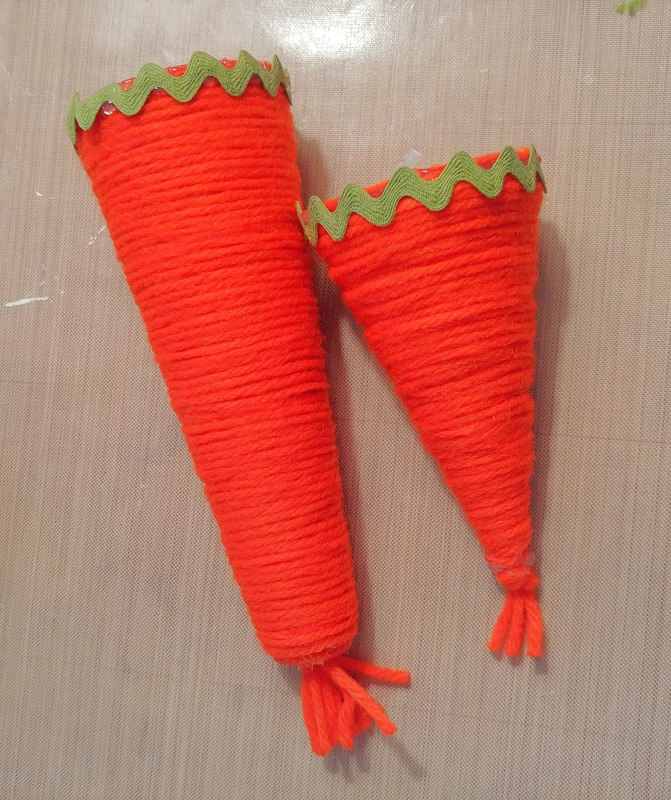 I made a little yarn tassel and put the knotted end inside the cone and left the cut ends hanging out like roots!